When this beautiful piece of Ghibli-inspired art came across my desk from artist salvamakoto, I immediately smiled. Although Castle in the Sky jumped into my head (the artist tagged their piece as "Ghibli fan art"), my mind then immediately went to Lupin. 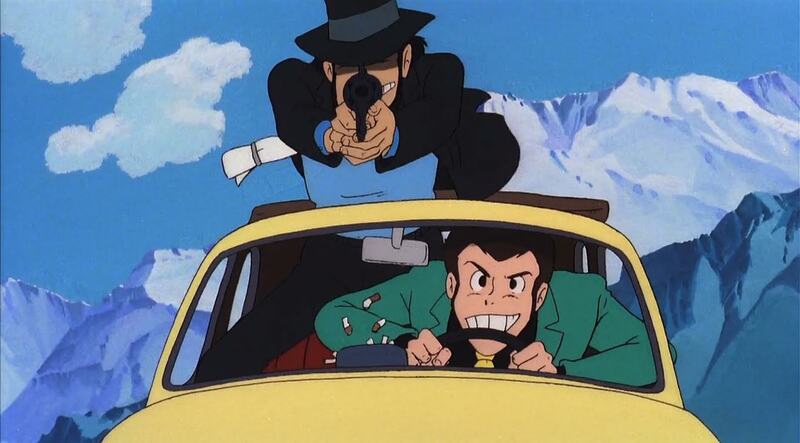 Years ago Ghibli head Hayao Miyazaki handled the Lupin film The Castle of Cagliostro, and you can clearly see Monkey Punch's style bleeding through. The dynamic in the scene above also recalls the relationship between leads Lupin and frenemy Fujiko.